In today’s digital world, there’s an app for that – whatever “that” may be. Devices like smartphones and tablets are becoming the dashboards of our lives. Depositing a check? Snap a picture of it and tap the button on your bank’s app. Does your son or daughter at college need money? Transfer it electronically. Forgot to pick up milk? Hop online and order it. Fueled by smart technologies, mobile devices and 24/7 connectivity, the way consumers browse, shop and pay is increasingly digital. For small to medium-size businesses (SMBs), that can present a challenge. This year alone, 280 million Americans are expected to go online every month, according to eMarketer research, and Pew research estimates that eight in ten Americans will make an online purchase. Yet, according to research by Visa, less than half of SMBs have an online presence. Similarly, for in-store shopping most consumers (78 percent) surveyed by Visa say that they prefer making payments digitally either with a card or their phone. Does your SMB accept digital payments both online and in-store? As digital commerce continues to expand, SMBs that don’t jump onboard risk being left behind. In an effort to understand more about what consumers want from SMBs, Visa and a consortium of partners surveyed more than 400 SMBs and nearly 2,500 consumers. The result is a guide on how SMBs can grow their businesses in an increasingly digital world: “Digital Transformations of SMBs: The Future of Commerce.” It offers actionable tips for technology and digital upgrades that SMBs can implement to help grow their businesses, including a “how to” on digital payments, marketing and advertising tactics, new service considerations and customer loyalty programs. Consumers expect it, but you’re not offering it. While 90 percent of consumers say they want to support small businesses, there is more to the story. Consumers still expect convenience, and today, that means digital offerings. This creates a big problem for SMBs, whether they realize it or not. 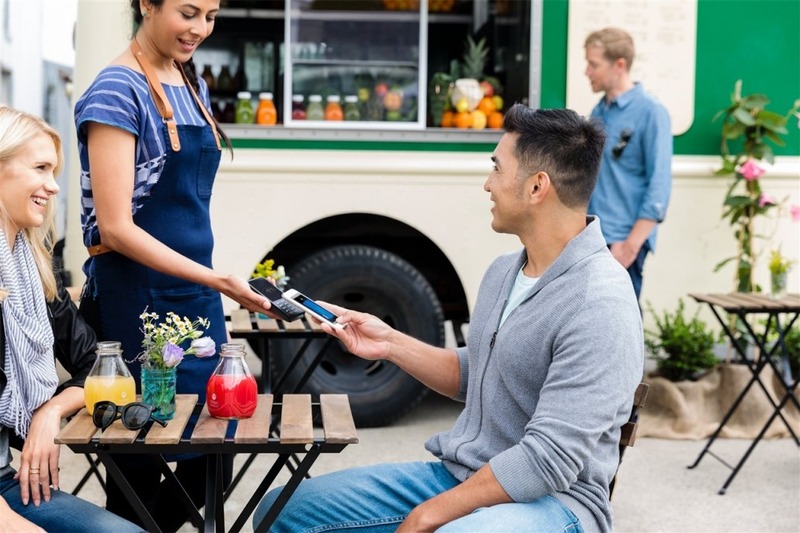 Visa’s survey found that only 15 percent of SMBs sales are conducted via digital channels, yet 61 percent of consumers surveyed plan to increase their online purchases in the next 5 years. That represents a significant gap between what consumers are planning and what SMBs are delivering. It may help the bottom line. Moving, storing and securing cash, checks and money orders takes valuable time and is also subject to fees, losses and theft. Based on survey responses collected from SMBs, Visa estimates the surveyed SMBs’ average cost of processing digital transactions was 57 percent less than cash transactions. This, based on annual sales volume, number of cash versus digital transactions, and processing costs for digital and cash payments (inclusive of direct expenses and labor costs). Adding digital payments may help businesses increase sales: two-thirds of SMBs surveyed shared that they believe customers spend more when using cards versus cash. Consumers want digital loyalty plans. Only one in five SMBs surveyed offer a loyalty program, but rewards can drive consumer preferences. Seventy-eight percent of consumers say they’re more likely to choose a business that has a loyalty program, and of those, most say that they check out the programs before trying a service, a restaurant or a store for the first time. Every SMB knows that differentiating themselves is a key to success; a loyalty program is an excellent way to stand out from competitors. Why do a digital loyalty program and not, say, a paper punch card? Because nearly all consumers surveyed – 90 percent – prefer digital. If you want to find out more about how to go digital, download the “Digital Transformation of SMBs: The Future of Commerce” guide at www.visa.com/smbDigital. It’s free, and it’s filled with actionable tips to help you get started. *References to consumer and small business preferences are based on findings from the survey Digital Transformation of SMBs: The Future of Commerce. Survey was commissioned by Visa and conducted by a third party research firm, Maru/Matchbox, during February and March 2018 and administered in English to U.S. 425 small and medium size businesses with storefront or at home business in food/dining, retail, services and grocery industries, and 2,458 consumers taking into account balanced income, age and regional representation.